Hi, welcome to use Sonoff iFan02 ceiling fan with LED light driver! By replacing the old driver of your LED ceiling fan with iFan02, you can remote turn on/off the fan and the light, change the fan speed. Replace the original driver in your LED ceiling fan with iFan02. 1. After finishing the wiring connection, power up your device. 3. Open eWeLink app, click the “+” icon. Then select the Quick Pairing Mode (TOUCH), click Next. The App will auto-search the device. 4.2 Now eWeLink only support 2.4G WiFi communication protocol, 5G-WiFi is not supported. If you are using dual-band router, please disable 5G, allow 2.4G WiFi only. 5. Next, the device will be registered by eWelink and add it to your account，it may take 1-3 minutes. 7. Maybe the device is “Offline” on eWeLink, for the device needs 1 minute to connect to your router and server. When the green LED on, the device is “Online”, if eWeLink shows still “Offline”, please close eWeLink and re-open. You can control the fan and light separately from the device list or from the device’s interface. Once turning on/off the fan, the iFan02 driver will make a beep sound. There are 4 fan speed level: 1/2/3/smart. 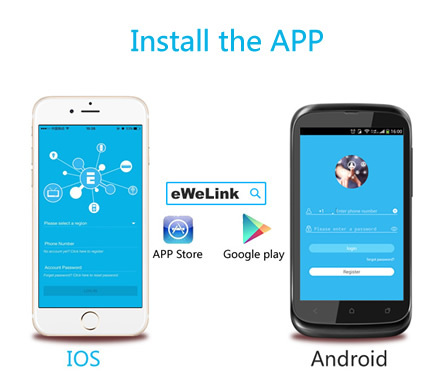 The owner can share the devices with other eWeLink accounts. While sharing devices, both should stay online on eWeLink. Because if the account you want to share is not online, he/she will not receive the invitation message. How to make it possible? Firstly click Share, input the eWeLink account (phone number or email address) you want to share, tick the timer permissions (edit/delete/change/enable) you want to give, write down a note to let the other person know who you are, then click Next. The other account will receive an invitation message. Click Accept, the device has shared successfully. The other user will have access to control the device. Support totally 8 enabled schedule/countdown timing tasks each device. Note that the timing feature is only available for controlling the light. In Device Setting, you can set default device status: ON or OFF when the device is power on. Scene allows triggering on/off your fan or light automatically. Note that only device owner can create scenes. Scenes can’t be shared. You can set up scenes or smart scenes to trigger on/off the device. First, you’ll need to install the battery. You will need a slotted screwdriver to open the battery cover on the Remote’s back. You can use RF Remote to control the fan and light, change the fan speed(1/2/3), close the buzzer if you don’t want to hear the beep sound of every operation. If the FAQ answers can’t solve your problem, please submit a feedback on eWeLink App.